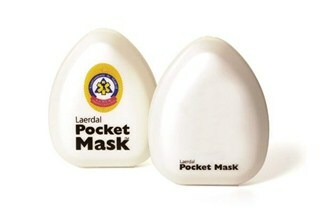 Laerdal Pocket Mask HC | BMK Ventures Inc. Incorporating an oxygen inlet, that facilitates the delivery of supplemental oxygen, is an option. This version also comes with an elastic head strap.